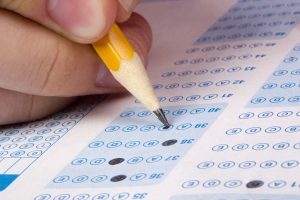 “Beginning January 1, 2017, the vast majority of students who are approved for and using testing accommodations at their school through a current Individualized Education Program (IEP) or 504 Plan will have those same accommodations automatically approved for taking the SAT®, PSAT™10, PSAT/NMSQT®, SAT Subject Tests™, and AP® Exams. Most private school students with a current, formal school-based plan that meets College Board criteria will also have their current accommodations automatically approved for College Board exams. This streamlined process builds on the College Board’s August 2016 expansion of testing accommodations that can be approved directly by schools without the need for additional documentation. “Effective January 1, 2017, ELL students taking a state-funded SAT during the school day will have access to testing instructions in several native languages and approved word-to-word bilingual glossaries. In the fall of 2017, ELL students taking a state-funded SAT during the school day can also receive extended testing time (up to time and a half) and the opportunity to test in an environment with reduced distractions. This is a long overdue policy change by the College Board, a change that will hopefully level the playing field for college-bound students with dyslexia. This new policy will make it even more essential that appropriate accommodations are documented in individuals’ school systems. There are many challenges that will continue to affect dyslexic students – among them, the fact that the ACT (different organization from the College Board) has NOT enacted a similar policy, dyscalculia-related issues (‘calculator-free’ section of the SAT, almost non-existent recognition of dyscalculia in public schools), access of most students to appropriate comprehensive diagnostic testing; however, it is a step in the right direction.